Once again we’ve had too many good releases dropping into the inbox so here’s part two of our roundup for October featuring Arcatype, Silent Witness, Rockwell, Dub Berzerker, Soul Intent and more! 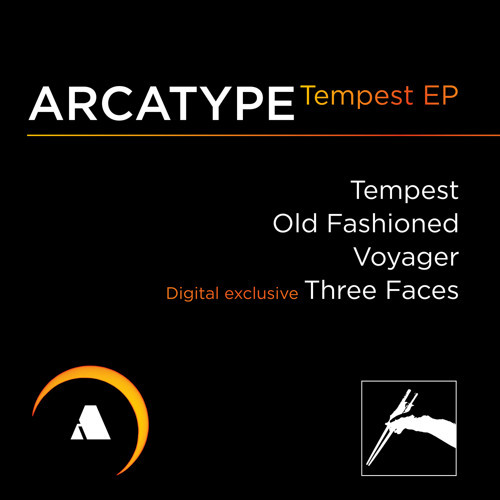 Ingredients Records drop another fine release from fresh production trio Arcatype, who bring their blend of atmospheric, rolling D&B across four incredibly polished tracks that bridge the gap between melodic liquid flavour and dancefloor appeal. They’ve put together a slick little promo mix for good measure too – check out the tracks and the mix below and hit up Juno to buy the release right now. Chook returns to D&B from a four year sabbatical during which time he’s been recording and touring with his live band, Monophona. For this release he’s brought on board the band’s singer for a chunky sci-fi roller with more than a hint of trip-hop in the vocals. This one is out now via all good digital stores, and if you’re in central europe you can catch Monophona playing dates in Luxembourg, Switzerland and Germany over the next couple of weeks. Hyper clean production and impressive sound design characterise the latest release on Modular Carnage, bringing together some nice atmospherics and that heavy hitting neurofunk production we all love so much. It’s all about Claustrophonia on the flip for us here at the Dojo! Hit up the Modular Carnage website to grab this one on a “pay what you want” basis. Seattle trio Quadrant, Kid Hops & Iris drop their debut LP for Klute’s well respected Commercial Suicide imprint and the results are absolutely fantastic. Chunky, rolling techstep with some nice collabs and a few deviations into less predictable territory make for a cracking ride across 13 tracks with no filler in site. Hit up the Commercial Suicide Bandcamp to cop this one on vinyl or digital right now. Bad Taste Recordings team with up high profile neurofunk management agency Methlab to bring us four heavy hitting dancefloor belters from Silent Witness, Machinecode, Signs and Allied. The Methlab crew have also teamed up with visual artist XRA to create a slick, futuristic interactive sound explorer which is well worth a look, combining abstract 3D graphics with hefty explorations of all things bass. Hit up the Methlab website to check out the interactive player and check out the EP’s lead track from Silent Witness ahead of the Nov 6th release. Following his rather excellent Wanna Fight EP Soul Intent returns to his own Lossless imprint with the label’s first digital only release. It’s all about the Amen Rollout mix of LaMeduza vocalled What I Wouldn’t Do on this one! Check out the EP below and hit up the Lossless Bandcamp to support the release direct. The first glimpse of Rockwell’s long awaited debut LP for Shogun Audio arrives ahead of the full album release on Nov 27th. Think Detroit but with less booty bass and more Altern8 style rave chords – tasty! Last but not least, LA’s finest liquid imprint Such Music have another pair of silky smooth melodic rollers from Mannheim producer Dub Berzerka. Lush business – look for these from Nov 2nd at all good digital outlets.